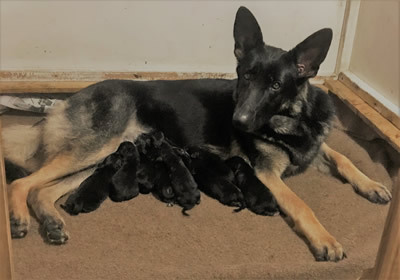 Jazz has passed OFA and has her first litter. 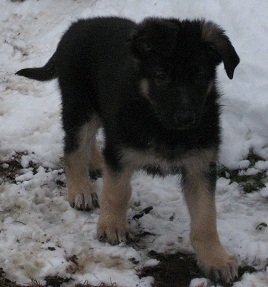 Visit our puppy page for more information. 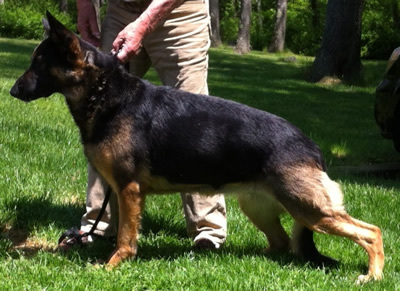 Deja is the daughter of LIANNA'S IT AIN'T FUNNY MCGEE, OFA, (Molly) and CH. Makintrax Quentin Tarantino, OFA, TC (Django). Molly is pregnant!!!! Puppies expected early May 2019. KEEP CHECKING MY PUPPY PAGE for updates. 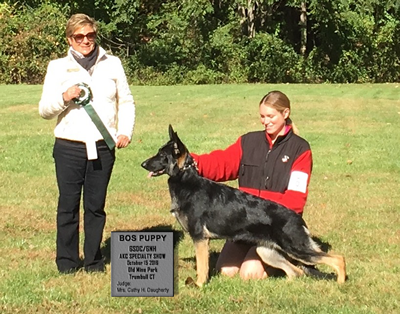 BRED FOR GOOD TEMPERAMENT, HEALTH, BEAUTY & BRAINS. 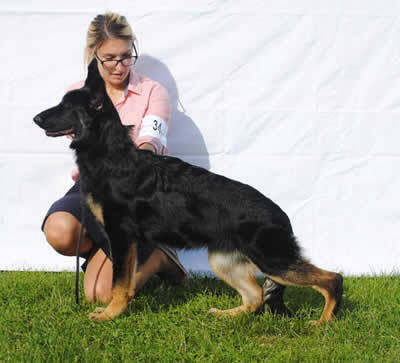 Lianna Shepherds specializes in breeding German Shepherd Dogs to the AKC Breed Standard. We are a small, hobby breeder. Our dogs are members of the family and live in the house. Hence, we keep few dogs, and breed only one or two litters per year. Our puppies are also born and raised in our home, we feel this early exposure to normal every day noises and activities at a young age gives our pups a better start. 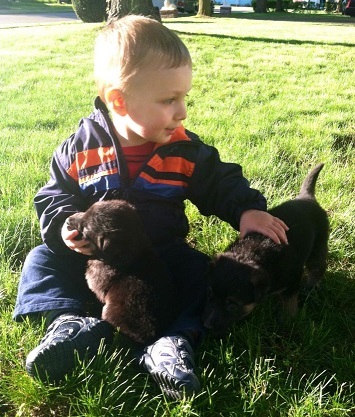 This FAMILY atmosphere helps the pups be well socialized, especially with children. 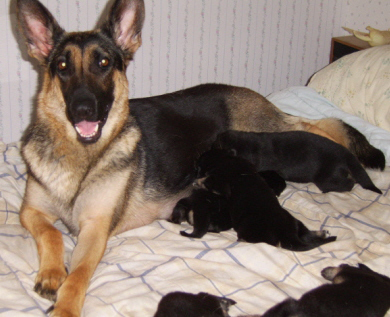 Each litter is carefully planned with an emphasis on Health, Temperament and Structural Soundness. 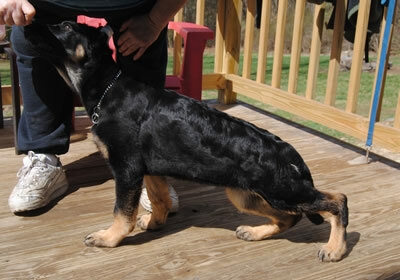 At Lianna Shepherds we believe in QUALITY not Quantity, we do not breed just to produce puppies. 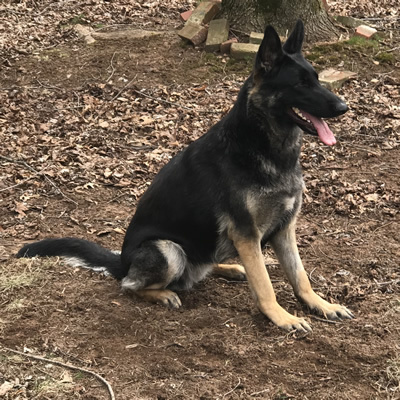 Our breeding stock is either OFA Certified or X-rayed free of Hip and Elbow Dysplasia as well as being screened for Temperament and Genetic health problems. Lianna Shepherds is owned by Lisa Ann Naclerio and is located in North Haven, Connecticut. For more information check out the other pages of our site. Thank you for visiting, hope you enjoy the website.